» Columbia vs North Face Jackets – Which is the Best Jacket Line in 2019? Columbia vs North Face Jackets – Which is the Best Jacket Line in 2019? 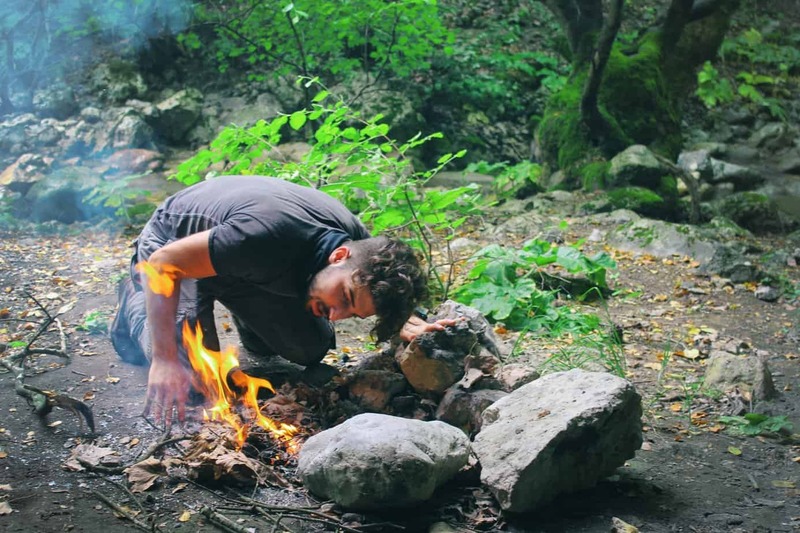 When it comes to outdoor apparel brands there are two types of people – those that don’t care about brand names when choosing what to wear, focusing instead on quality and function, and those that tend to stick to one company. Since the outdoor clothing niche is a smaller industry compared to say the sports apparel industry, there are fewer quality companies to choose from. Outdoor enthusiasts are really going to put their clothing to the absolute max which is why so many end up being loyal to just one or two brands. Two of the most popular outdoor clothing brands are Columbia and The North Face. Both of these brands have vast fan bases and produce high-quality clothing that promises to keep you warm and dry. They are also widely available in stores as well as from online retailers, where you can find a waterproof jacket and other products to wear when you need some extra heat. However, there are a few differences between the jacket lines offered by Columbia and The North Face. Outdoorsmen focusing on quality construction and utility oa ver brand name should consider both company’s jackets. The Bottom Line [Up Front]: While I LOVE both brands, to me it comes down to the best prices and who is having deals. 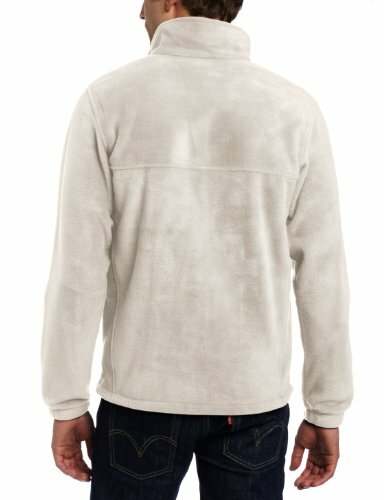 I frequently check this Columbia discount page where there is almost always a jacket or fleece on sale. Since Columbia is typically cheaper anyway but still super warm. That’s my overall recommendation. Should You Purchase from Columbia or The North Face? Columbia has perhaps one of the most interesting histories of any outdoor apparel company. Columbia Sportswear was a family business that actually began as Columbia Hat Company back in 1938. The company is still family-owned today and despite having grown tremendously, many fans of the brand find them to still have an air of small business charm. Columbia Sportswear has a very easy to navigate, simplistic website. The break down of categories makes it very easy to narrow down the jackets to your exact need or activity. Columbia has a very nice range of different waterproof jacket designs and some of their best sellers have some incredibly high ratings. The Steens Mountain Full Zip Fleece has 496 reviews and near 5-star rating. As mentioned previously, Columbia is a more classic brand in terms of their jacket designs. You’ll find that their jackets are just a capable and well-made fabric, but are slightly more simple in design and color schemes. If you really love to wear your natural, neutral shades and a practical appeal, you’ll probably find Columbia to be a more attractive brand to choose your stuff. Columbia is widely available at numerous places online as well as in stores. Discount department stores, like Kohls, regularly carry Columbia products and men and women’s jackets are not an exception. This also means you’ll probably be able to get your super warm waterproof jacket for a reduced price. Columbia synthetic jackets are also sold in the majority of outdoor apparel stores, such as Cabela’s and REI (check REI’s discount deals here). The North Face was developed in 1966, focusing on all aspects of outdoor apparel right off the bat. The brand got its name from the harshest face of the cold Himalayan mountains, despite it having been founded in sunny San Francisco. Through incredible marketing, inventive designs, and sponsorship of outdoor athletes and events, The North Face skyrocketed from its rather humble beginnings. The North Face website has a greater number of reviews compared to Columbia, though this is largely attributed to simply more people purchasing online from TNF. However, the large number of reviews is very reassuring. 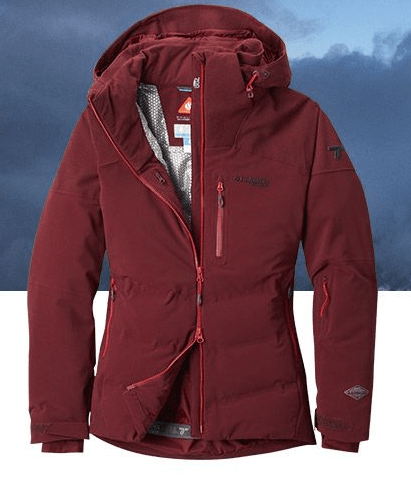 The Apex Bionic 2 jacket, for example, has over 1k reviews alone. Another difference of TNF is that they have more parka options than Columbia and overall a wider range of styles in warm men and women’s jackets. You’ll find their jackets to be a little more eye-catching and visually appealing, which will make you want to wear it often. TNF also has a few different “technologies”, like WindWall fabric or ThermoBall insulation fabric. The North Face is rarely found in department stores except for Macy’s and Sears, leaving customers having to either order online, find a TNF store near them, or hope that their local REI or outdoor gear store carries TNF. There really is no answer as to whether Columbia or The North Face jackets are better over the other or which one is going to keep you more warm and dry. Individual preference has a lot to do with this stuff, and what jacket you deem to be best compared to what someone else might consider being superior. Factors such as body shape, activity, modular attachments, bonus pockets, and budget all place a role. Though there are always variances in the cut of Columbia or TNF breathable jackets, typically Columbia waterproof jackets have a slightly more relaxed fit, even on their slimmer models. TNF jackets are a little more “sporty” or more casual to wear and tend to fit the body with an athletic fit. Columbia jackets have very traditional or classic lines to them while TNF jackets might appeal more to a 35 and under age range looking for a more contoured fit. 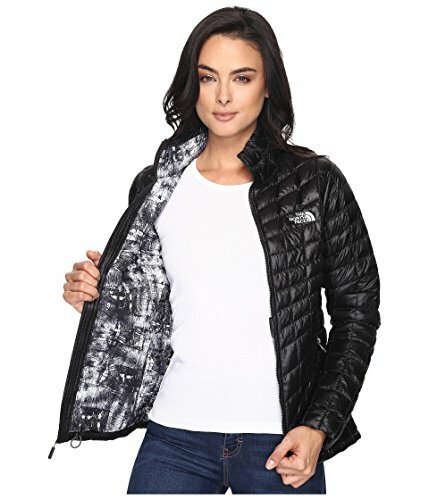 Women are particularly quick to note that TNF jackets fit the natural shape of the average woman in a way that is very flattering and isn’t boxy, even on their thick down models. As far as activities and budget, these two factors go hand in hand. Both Columbia and TNF produce technical jackets that can handle cold weather extremes with ease. Both brands offer well-constructed jackets that are warm and unlikely to become damaged when cared for reasonably. Where the brands do start to veer from one another is cost versus value. The North Face is widely known to be a bit of a pricey brand, putting it up in the “elite” of outdoor apparel. Considering their quality compared to their price, many serious outdoor enthusiasts tend to put TNF in the luxury category as there isn’t a huge difference in the quality of their jackets compared to less expensive brands. Columbia is a very reasonably priced brand for the most part. To put this into perspective, consider that a basic full-zip fleece jacket from Columbia will run anywhere from $35 up to $60. A full-zip fleece jacket from The North Face is much higher at $85 to $200. This means even a basic fleece jacket from TNF is going to be more than twice the price of the same quality jacket from Columbia with the same warmth. If you’re a big supporter of TNF then this price might be reasonable for you as it supports the company. However, if you’re focused on cost vs value then Columbia is almost always going to win in this category. Chances are if you had no logo to tell you which jacket belonged to which company, you’d probably find them to be quite comparable in quality and construction. Both brands have excellent customer service and even The North Face is well-known for asking customers to send back jackets for free repairs with no questions asked. If money is no concern and you really like a sleek, stylish look in the jackets you wear, The North Face is a good place to start. If you would rather not spend more just for a brand’s name and really want a classic jacket design, Columbia is definitely your best bet. The Bottom Line: While I LOVE both brands, to me it comes down to the best prices and who is having deals. I frequently check this Columbia discount page where there is almost always a jacket or fleece on sale. Since Columbia is typically cheaper anyway, that’s my overall recommendation.